This is just a short little post about an insanely cheap CCTV camera that has got great reviews on Amazon from hundreds of customers! Yes you can buy this camera on Amazon in single batches in the $20 range and with 42 high intensity LED’s that allow the cameras to capture images up to 110 ft what’s to complain about? 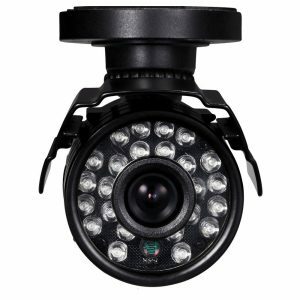 This camera is made with durable weather lasting cameras coated to protect against corrosion, Can be set up in virtually any outdoor or indoor place. IR LEDs Bit: 42pcs, 5mm LEDs. IR Range: around 110ft (35m). 1 x 1/3 inch shade CMOS 800TVL Electronic camera. 1 x Installing screw bag.